To naturally earn backlinks from high-authority sites, you need to create link-worthy content. Learn 4 research-backed methods to create link-worthy content for your brand. Irrespective of your industry, making it to the top 3 results in Google Search for a high traffic keyword can open traffic floodgates to your site and help you acquire thousands of potential customers. Everyone of your competitors wants the top search spots that you dream of. To outrank them, you’ll need to do a couple of things. 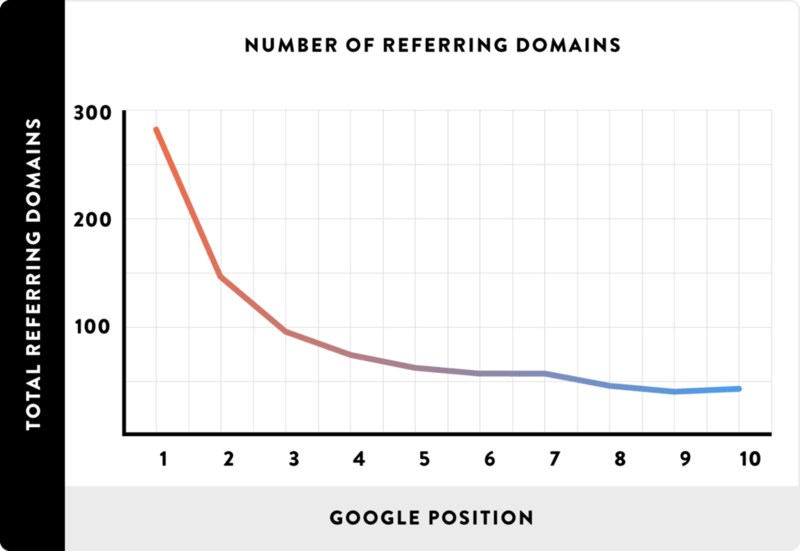 Backlinko carried out a study of more than 1 million Google Search Results and found a direct relationship between a site’s search ranking and the number of unique domains linking to it. Google thinks of backlinks as votes of confidence to a site. The more votes a site has, the higher it ranks. To naturally earn backlinks from high-authority sites, you need to create link-worthy content - content that’s so useful, so detailed, and so authentic that other content creators cite it as a resource. Not sure how to create such content? 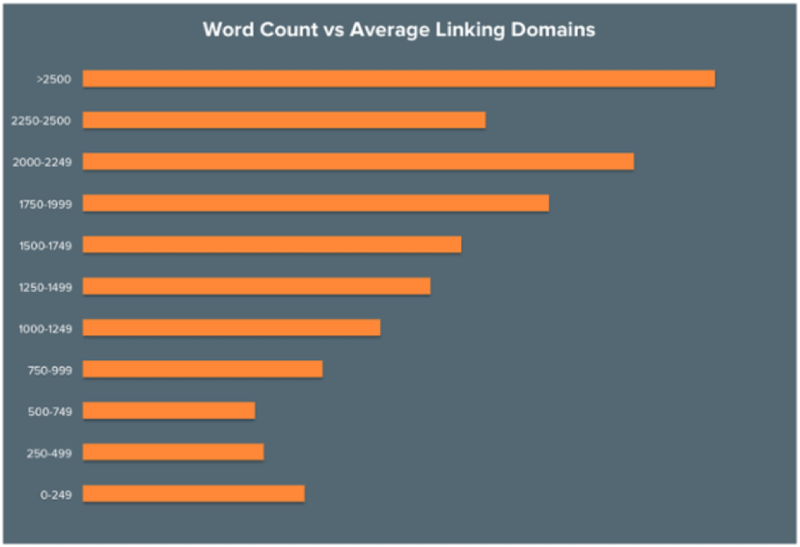 Here are 4 research-backed methods to create link-worthy content for your brand. Who likes to read long and fat blocks of plain text? I know I don’t. In fact, a study by Chartbeat shows that 55% internet users don’t read an article for more than 15 seconds. Good luck getting backlinks to a piece of content no one reads. The solution to both these problems (no reader engagement, no backlinks) lies in using more visuals. No matter how useful and actionable your content is, you’d struggle to keep readers engaged without using images and other forms of visuals in your content. 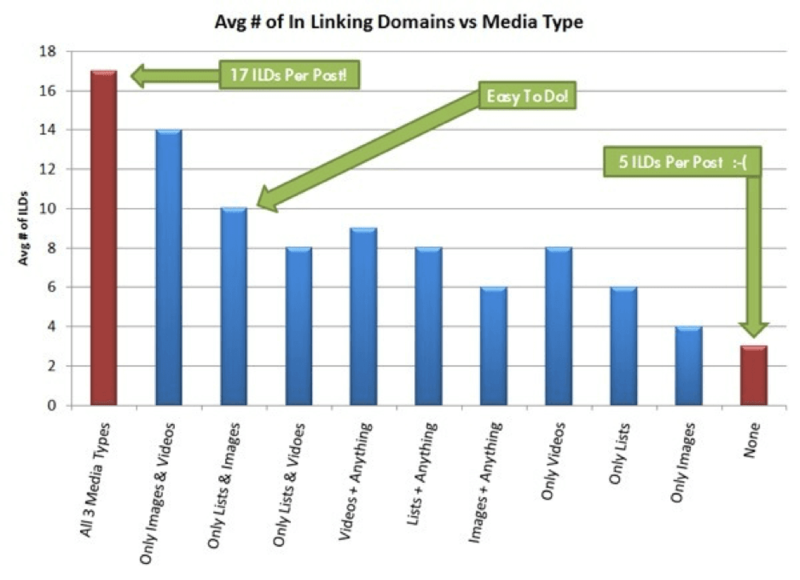 A study by Moz shows that content with visuals gets significantly more backlinks than plain text content. So instead of spending all your time creating plain text content, invest some resources into visual content creation as well. In my experience as a content marketer, infographics and even smaller images with data do a much better job at earning backlinks than generic stock photos. You can hire freelancers from sites like Fiverr or Upwork to create infographics for your blog or use free tools like Canva or Visme to create images yourself. 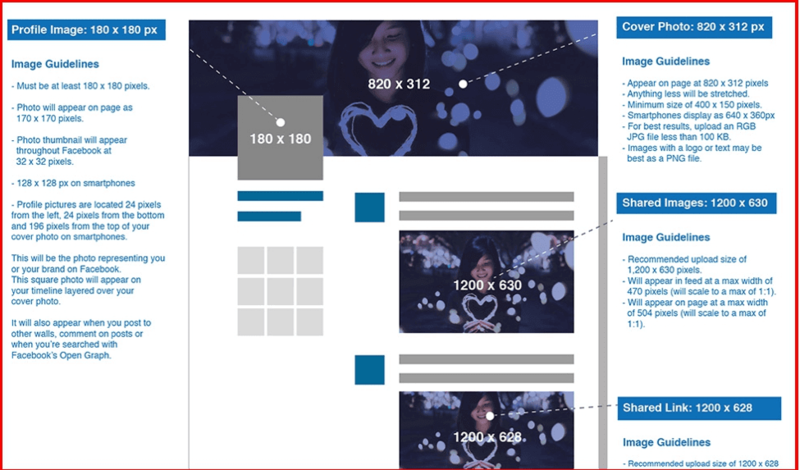 For example, look how this infographic, about the ideal image sizes for different social networks, makes this complex topic much easier to understand. Ahrefs, one of the world’s most popular SEO tools, also used embedded maps and infographics in their content to get dozens of high authority backlinks in their early days. You don’t even have to come up with very creative ideas for your images. You can simply make a portion of your content more visually appealing to get links. That’s all. 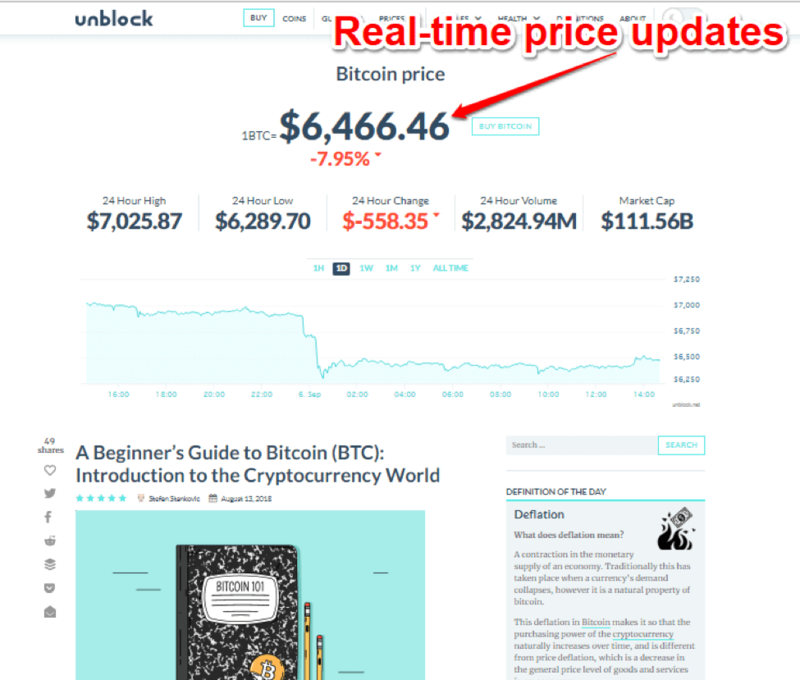 For example, look how Unblock, a blog about cryptocurrencies, has added real-time price update charts to make its content more eye-catching. If even this seems too difficult to execute, just crop and use small portions of relevant infographics published by other blogs. You can find hundreds of them with just a few searches. But don’t forget to link back to the original image source. 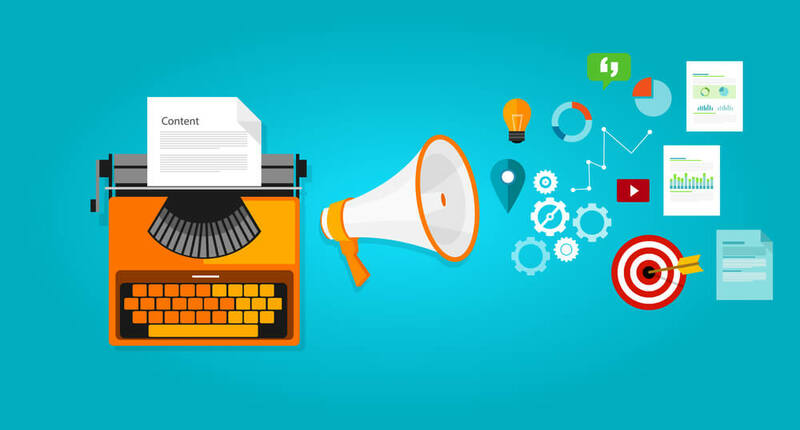 Such small additions can make your content stand out from the crowd, keep your readers engaged for longer periods of time, and, of course, get you more backlinks. Groom+Style creates an article with a fun, relevant and informative feature image, plus multiple infographics and unique images spaced through the 6000 plus word article. Opinions are important but they’re not always reliable (especially in the Fake News era). The internet is overflowing with opinionated content that lacks substance and research. To add credibility to your content, you need to back your arguments with facts, figures, research, and solid data that no one can deny. According to research, using data in your content not only turns your opinions into facts but also helps you get more backlinks. 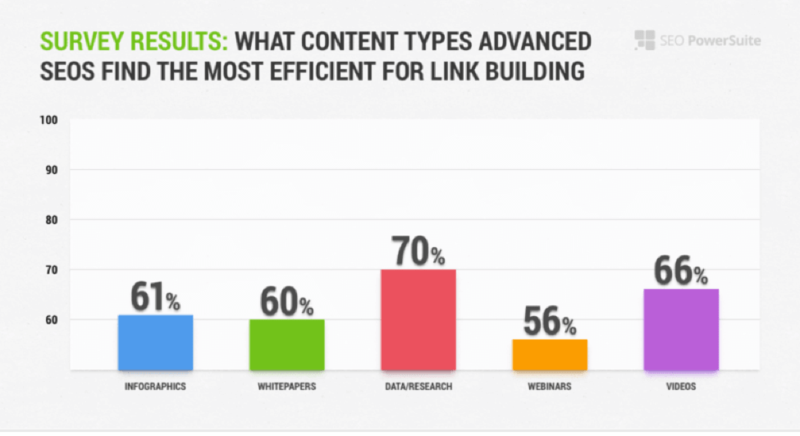 SEO Powersuite surveyed more than 700 content marketers and SEOs, 70% of whom considered data/research as the most effective content type to get backlinks. 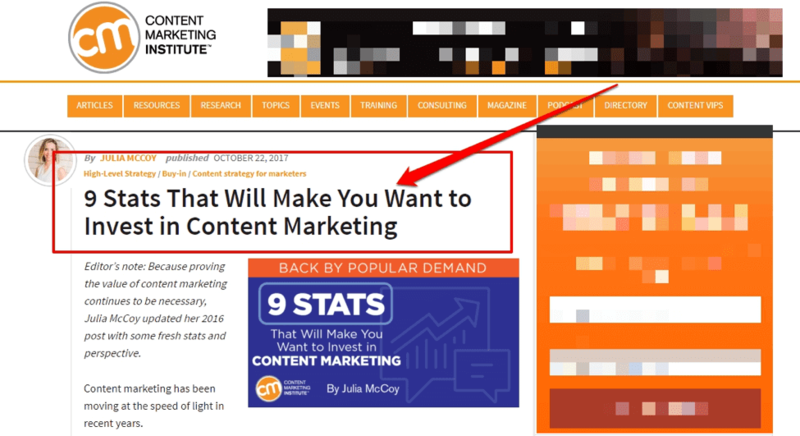 You can implement this to your content marketing strategy in a number of ways. If you don’t have a huge email list you can promote your survey using paid advertisements like Facebook or LinkedIn ads. Or you could simply run a Twitter or Facebook poll on a hot topic in your industry. But if you can’t do any of those things, there’s another way. Search the web for the most interesting and relevant statistics about your niche and publish them in a single post. If you make a habit of backing your claims with statistics and research, your content will stand a much higher chance of getting natural backlinks. Just like statistics and research, using real-world examples and case studies also adds credibility to your content and makes it more link-worthy. Case studies provide proof of concept and help you make more convincing arguments. Whenever you share an opinion or advice with your readers, try to cite a real world example that shows your tip in action. For example, Brian Dean, an internet marketer, first introduced Skyscraper Technique to create content that gets links on autopilot. In theory, Brian’s technique looked solid but he didn’t stop there. He published multiple case studies to prove that Skyscraper Technique actually worked. This is a particularly effective strategy if you’re creating content for the service industry or a SaaS company. 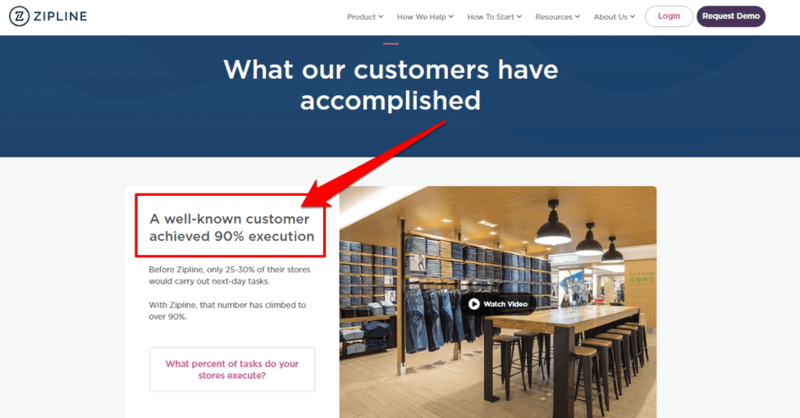 Zipline, a retail ecommerce communication tool, has used case studies to great effect in its content. This not only helps prospects understand how the product works but also gives them a clear idea of its effectiveness. Plus, it’s the kind of content they can easily cite in guest posts, interviews or press releases to get high authority backlinks. Study after study proves that longer content that offers actionable step by step guidelines not only results in greater reader engagement but also tends to attract more backlinks. Let’s study an example that further proves the effectiveness of longer content for link building. Shopify is a leading ecommerce platform known for publishing mammoth guides and super actionable content. 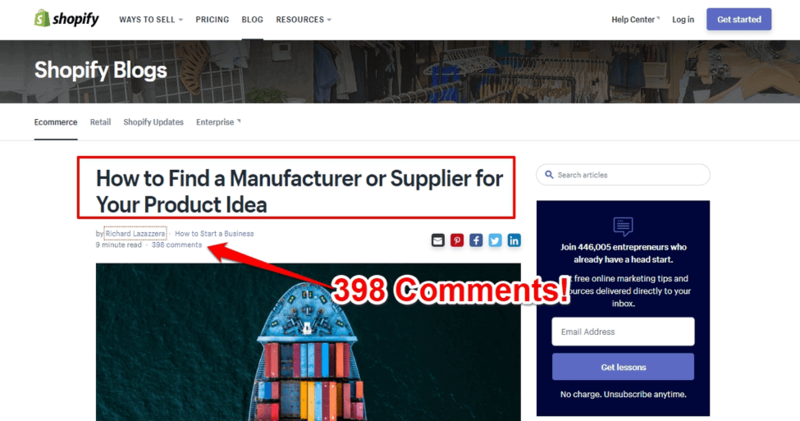 Here’s a 5000+ words post from their blog about finding product suppliers. post has almost 400 comments and thousands of social shares. what I found when I checked its backlink profile in Moz Link Explorer. than 1.6K backlinks from 114 unique domains. 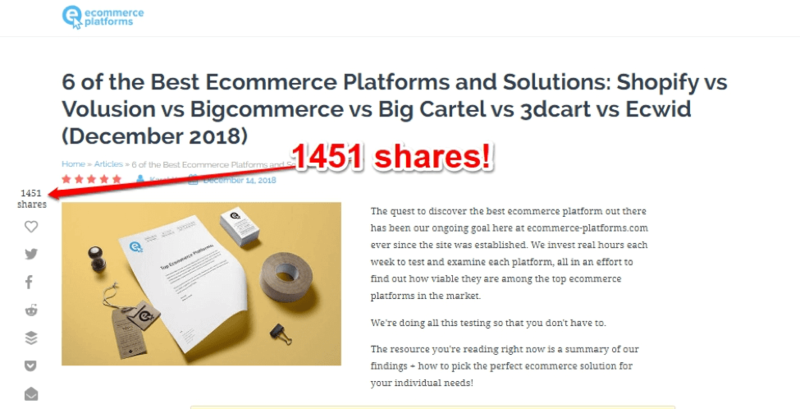 Here’s another example of a 5000+ words article on a completely different site which is not even remotely as popular as Shopify. Almost 700 links from 293 different domains. If you dive deep and analyze other popular long-form articles, you’ll mostly find that their backlink count is higher than shorter posts. Don’t waste your time writing thin 500 word posts anymore. If you want to write on a topic, go deep and cover it from every aspect. Give your readers as much information as you can and try to make it actionable at every step. Building backlinks from high authority sites isn’t as easy as it used to be a few years ago. But major publications and brands are still happy to link back to high quality content that serves as a good reference for their readers or helps them add credibility to their arguments. 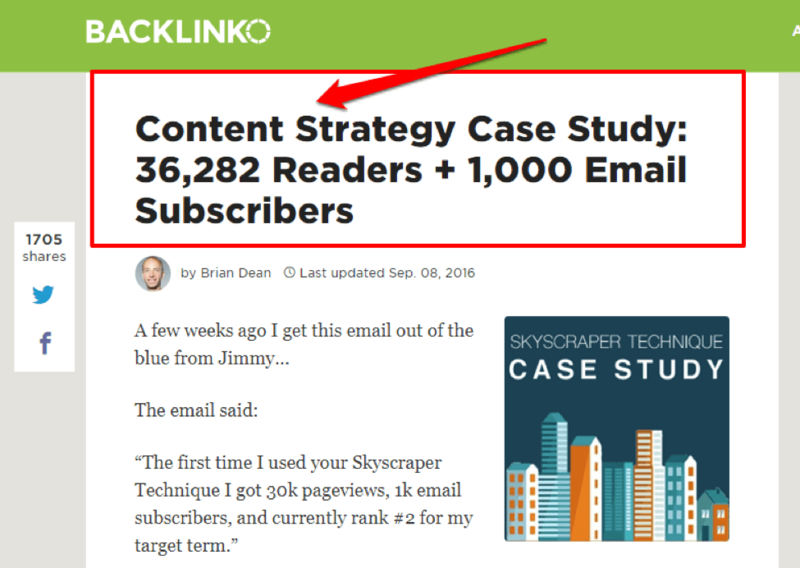 If you can create such content on a regular basis for your brand, there’s no reason why you can’t secure quality backlinks from the top sites in your niche.